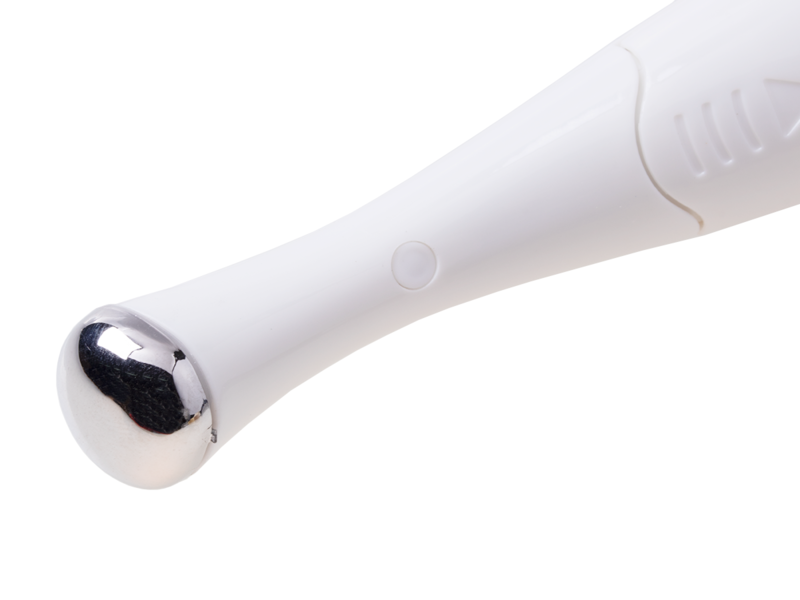 The massager is used for better but also more efficient absorption of creams. It is ideal for the care of the face and especially the eye area. Supports facial massage performed during daily care, supporting microcirculation and reducing swelling. A great device for home anti-wrinkle therapy. Gently massages, transporting care cream into the deeper layers of the skin. It replaces the traditional patting of the cream, causing simultaneous ionizing effects on the skin. It has firming properties and improves blood circulation. Just 30 seconds of massage in the morning and in the evening. Just apply a layer of cream to the eye area, apply the head and massage the eye area.